Everyone knows that a good diet contributes to disease prevention. But with today’s fast food lifestyle, keeping track of nutrients can be downright impossible. 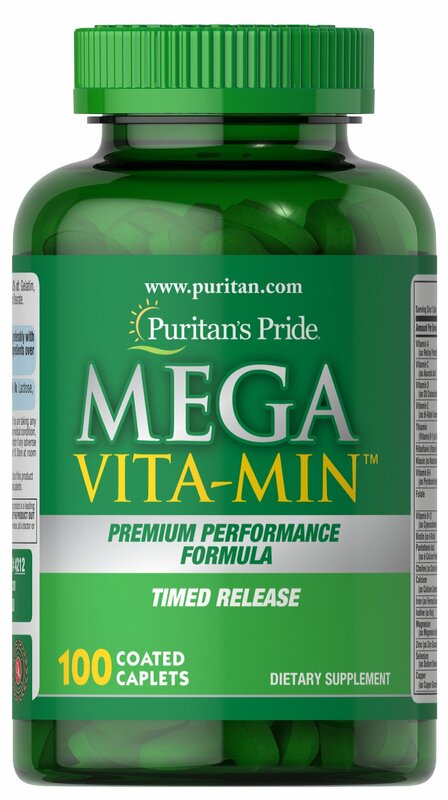 MEGA-VITA-MIN™ takes the guesswork out of essential vitamin and mineral nutrition. With over 32 active ingredients, including B-vitamins for energy metabolism, and a comprehensive array of immune and antioxidant support vitamins such as C and E,** MEGA-VITA-MIN™ provides the best nutritional factors you need to balance out your day. Adults can take one tablet daily with a meal. No Artificial Color or Flavor, No Sugar, No Milk, No Lactose, No Gluten, No Wheat, No Yeast, No Fish.